No question that it is important to survey professional information that is up to date and relevant and to belong to professional organizations as appropriate. 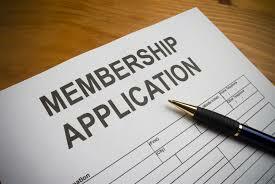 Some organizations ask their employees to assess that also and join as appropriate and will reimburse to some level for membership dues. Importantly, one must balance the cost of membership against the benefit of that membership. So it's not enough to say that membership is important. A tax-funded organization must also show accountability and reveal the costs and benefits of these memberships. So what do you pay for the alphabet soup you listed and what are the direct benefits to those memberships - most especially to persons with a developmental or intellectual disability and secondarily to those who directly assist in providing services to them? Do these memberships pass the criteria of being a high priority in a person-centered decision making process? And how many persons with I/DD continue to sit on the wait list because of membership dues and other perks of administration?